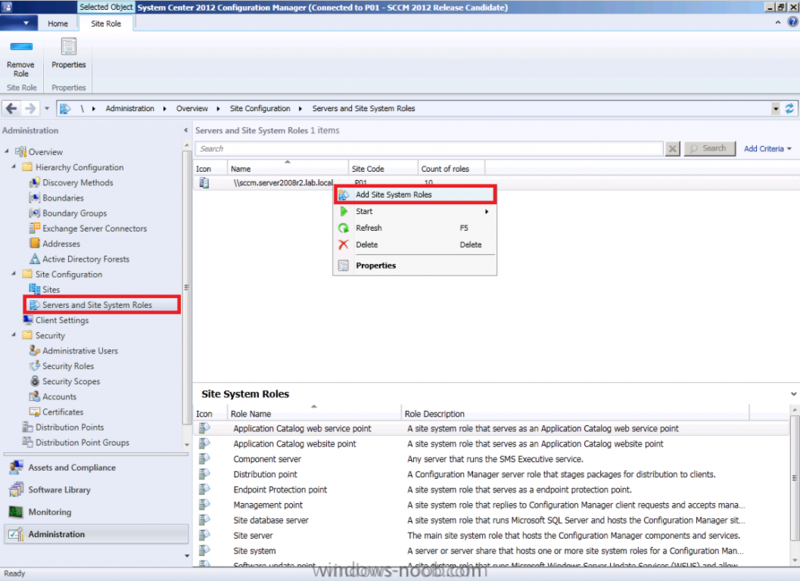 In Part 1 of this series we got our AD and SCCM servers ready, and then we installed System Center 2012 Configuration Manager as a standalone Primary site. 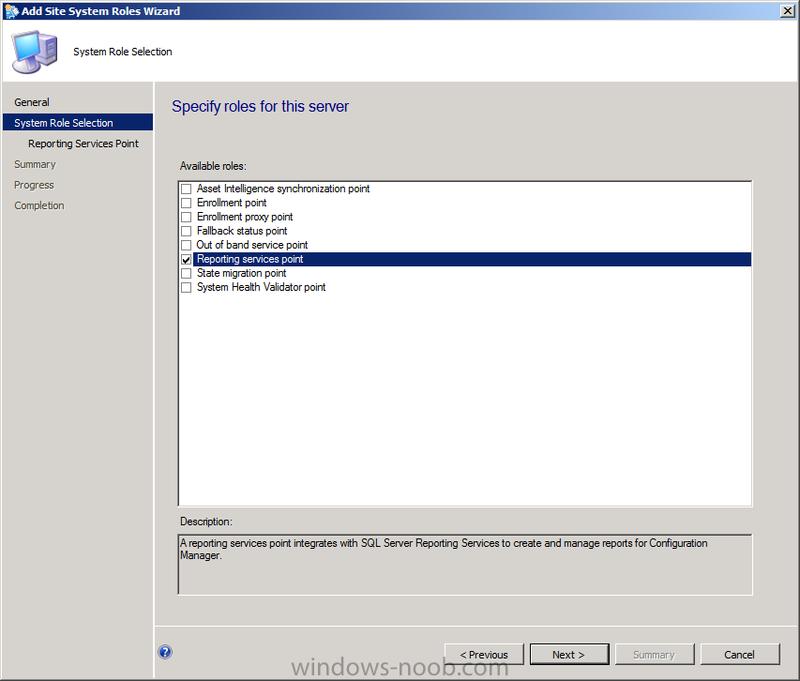 In Part 2 we configured the SCCM server further by adding some Windows Server roles necessary for the following Configuration Manager 2012 functionality, Software Update Point (SUP) and Operating System Deployment. In Part 3 we configured the server further by Enabling Discovery methods and creating Boundary's and Boundary Groups. 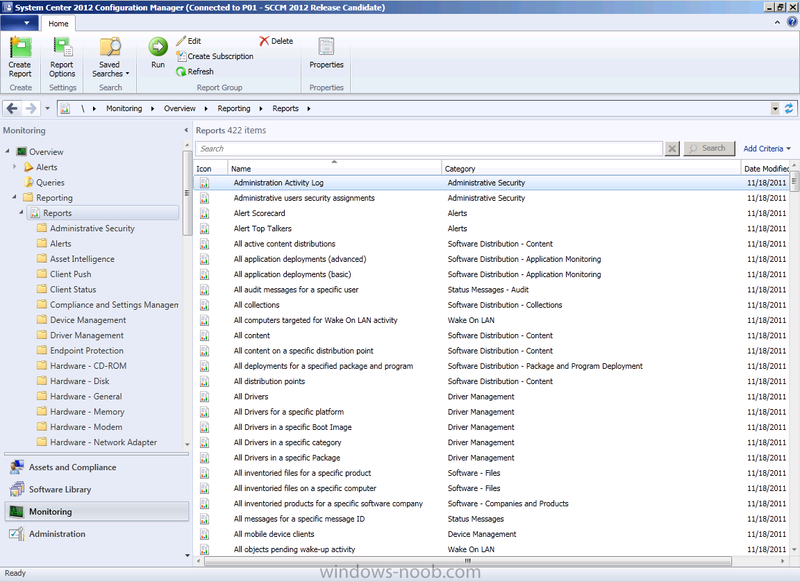 In Part 4 we configured Client Settings, Added roles and Distributed the Configmgr Client to our Computers within the LAB, then in Part 5 we enabled the Endpoint Protection Role and configured Endpoint Protection settings and targeted a collection called All Windows 7 Computers with these settings and policies. In Part 6 we configured our SUP further to Deploy software updates to our All Windows 7 Computers and Build Windows 7 X64 collections. In Part 7 we used the Build and Capture process to create our Base Windows 7 X64 wim image. In Part 8 we created a USMT 4 package to migrate the users data using hardlinking and then we imported the captured image into ConfigMgr and created a Deploy Windows 7 X64 task sequence. We created a Deploy Windows 7 X64 Collection and set some User Device Affinity collection variables. In Part 9 we created an Application, and created a deployment type for that application to only install if the Primary User was True for that device (User Device Affinity), we then copied our Task Sequence (duplicated it), deployed the new Task Sequence, added a computer to the new collection and then PXE booted the computer to the Deployment Menu. In Part 10 we monitored the Deployment process in a lot of detail to how UDA sent state messages and we verified that our application installed on the users Primary Device, in addition we modified our collection variables, and added a prestart command to our boot image to prompt for the SMSTSUdaUsers. Now we will setup the Reporting Services Point Role and verify that reporting is working. 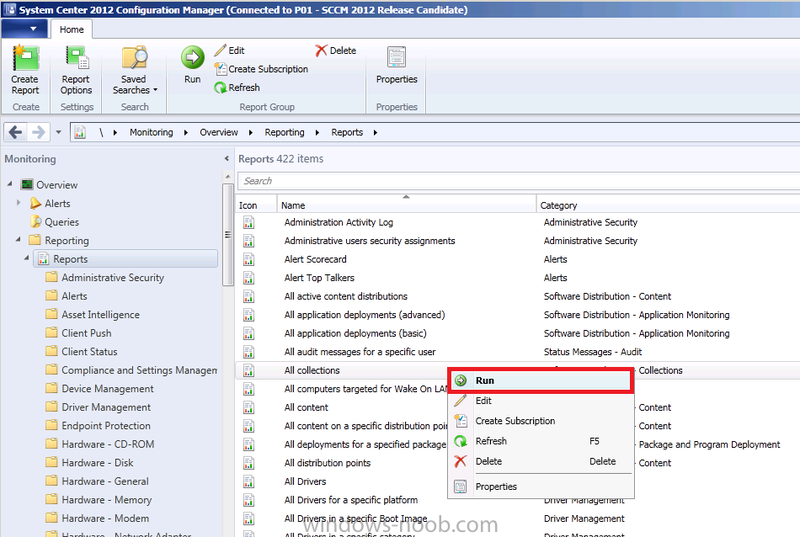 The following reporting features are new or have changed in System Center 2012 Configuration Manager. 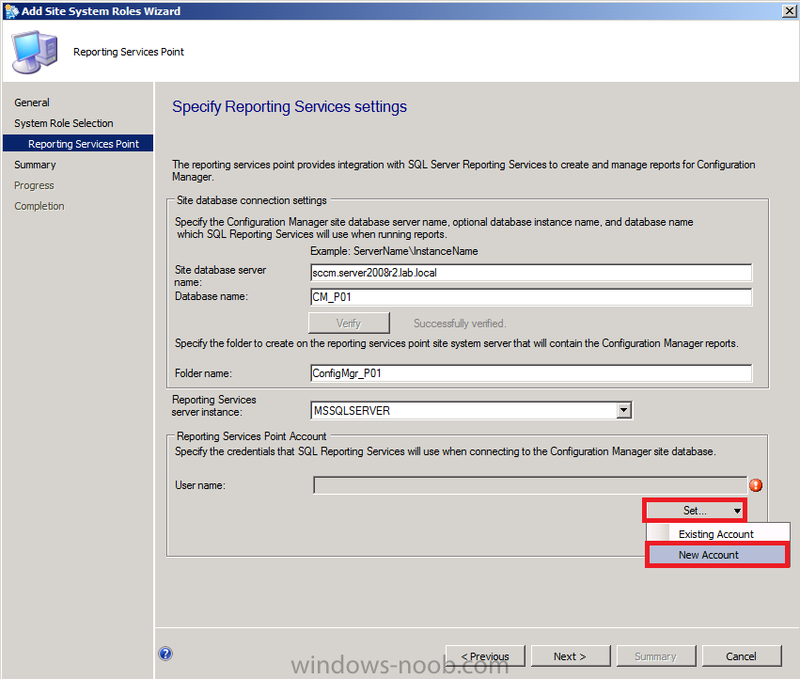 The Reporting Services point is the only site system role used for reporting in System Center 2012 Configuration Manager. For more information about the Reporting Services point, see the Reporting Services Point section later in this topic. 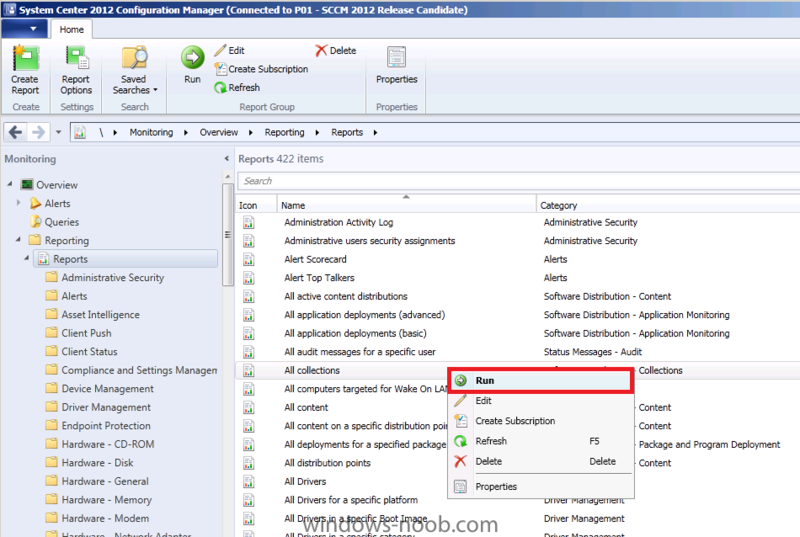 In addition to standard report management, Configuration Manager 2007 R2 introduced support for SQL Server Reporting Services reporting. 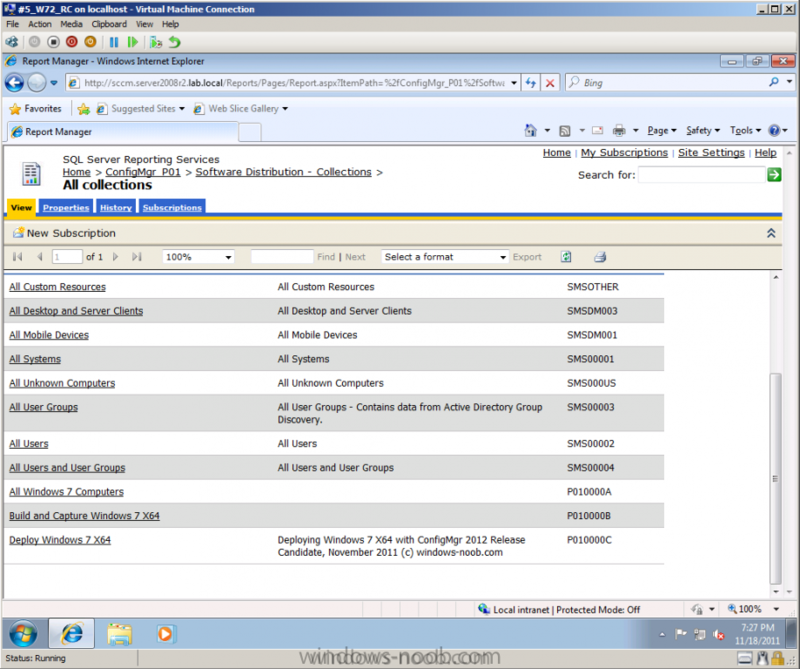 System Center 2012 Configuration Manager has integrated the Reporting Services solution, added new functionality, and removed standard report management as a reporting solution. 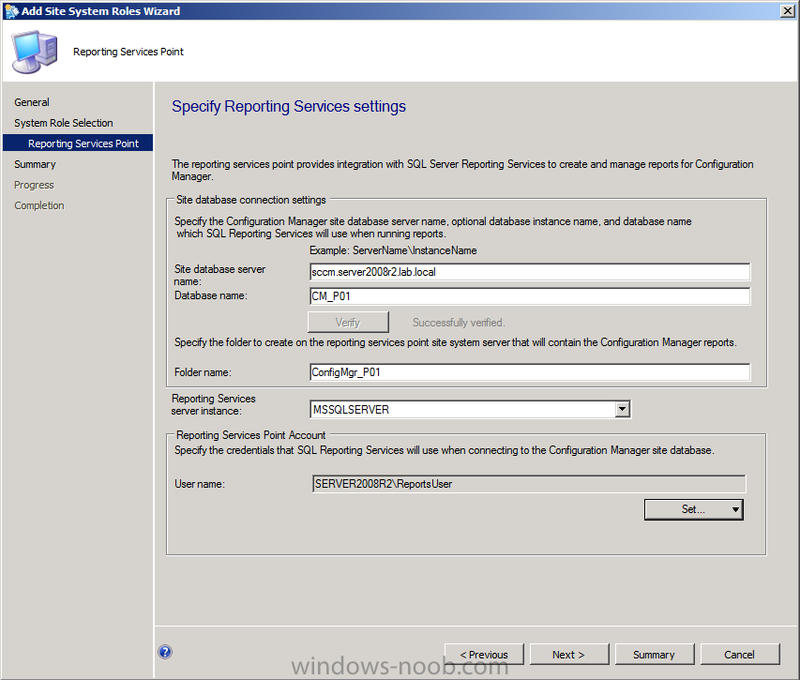 For more information about Reporting Services, see the SQL Server Reporting Services section later in this topic. 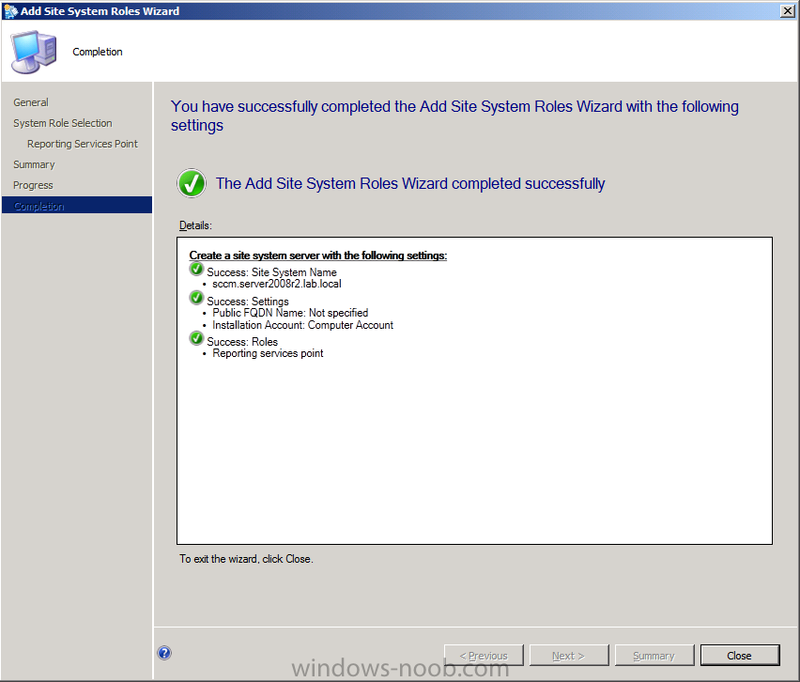 System Center 2012 Configuration Manager uses Microsoft SQL Server 2008 SP1 Reporting Services Report Builder 2.0 as the exclusive authoring and editing tool for both Model and SQL-based reports. Report Builder 2.0 is automatically installed when you create or modify a report for the first time. 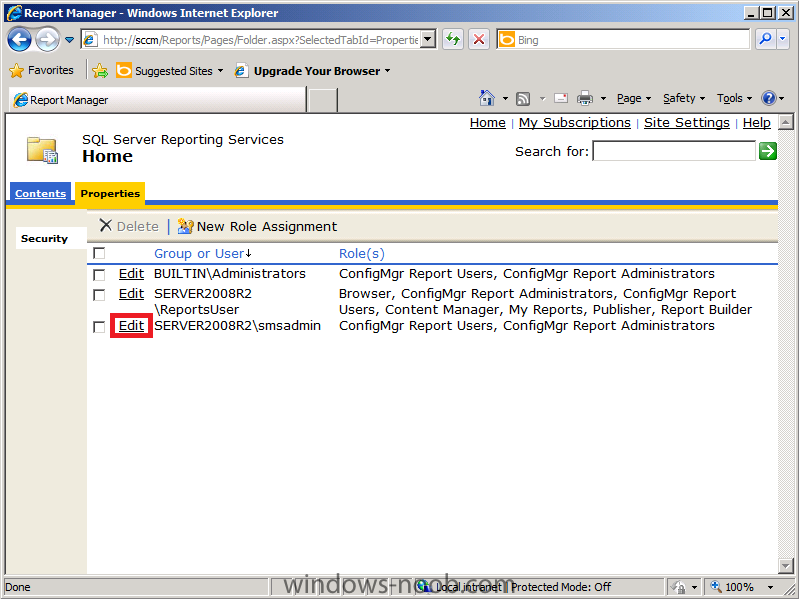 For more information about Report Builder, see the Report Builder section later in this topic. Report subscriptions in SQL Reporting Services enable you to configure the automatic delivery of specified reports by e-mail or to a file share at scheduled intervals. 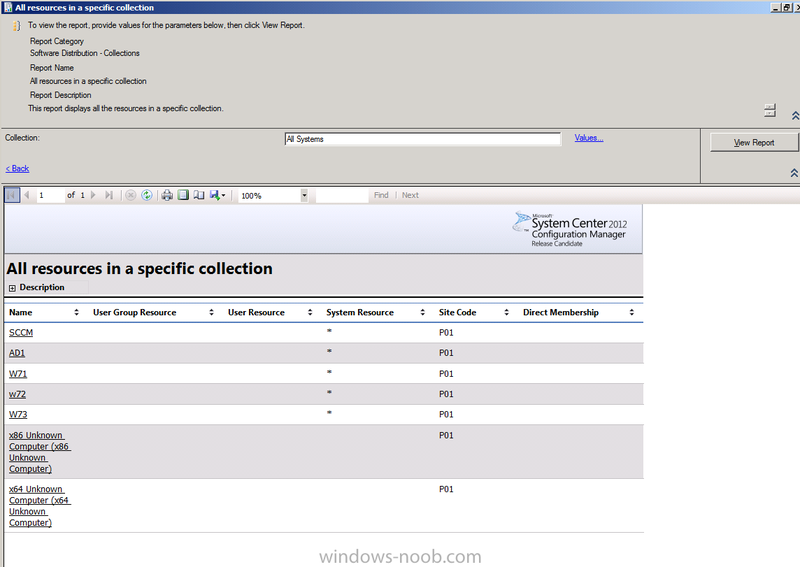 You can run System Center 2012 Configuration Manager reports in the Configuration Manager console by using Report Viewer or you can run reports from a browser by using Report Manager. Each method for running reports provides a similar experience. 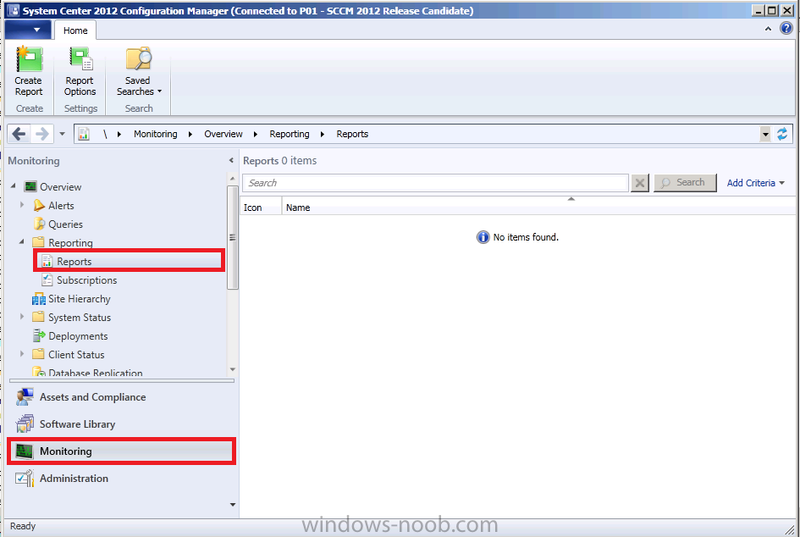 Reports in System Center 2012 Configuration Manager are rendered in the locale of the installed Configuration Manager console. 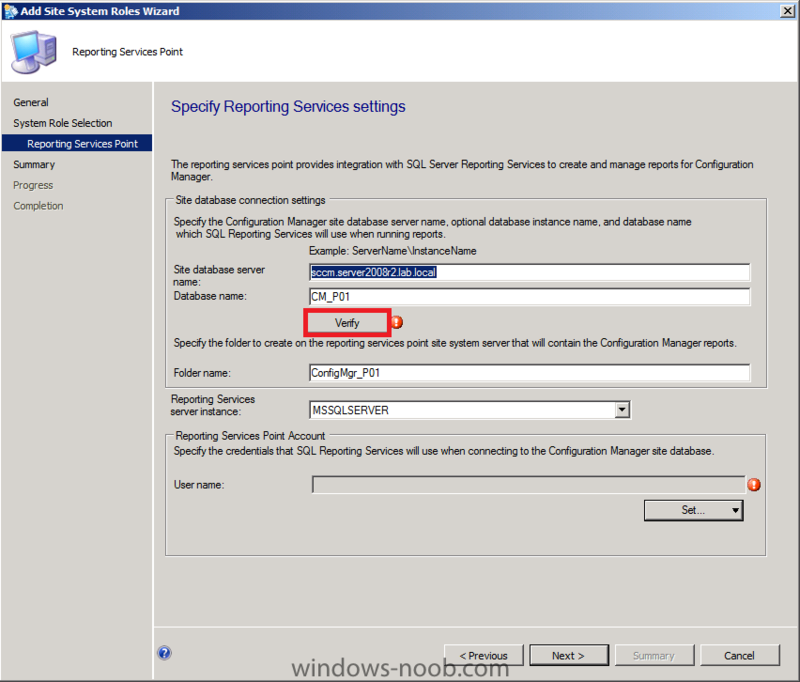 Subscriptions are rendered in the locale that SQL Server Reporting Services is installed. When you author a report, you can specify the assembly and expression. Reporting in System Center 2012 Configuration Manager provides a set of tools and resources that help you use the advanced reporting capabilities of SQL Server Reporting Services and the rich authoring experience that Microsoft SQL Server 2008 with Service Pack 1 (SP1) Reporting Services Report Builder 2.0 provides. Reporting helps you to gather, organize, and present information about users, hardware and software inventory, software updates, applications, site status, and other Configuration Manager operations in your organization. Reporting provides you with a number of predefined reports that you can use as is or that you can modify to meet your needs, or you can create custom reports. 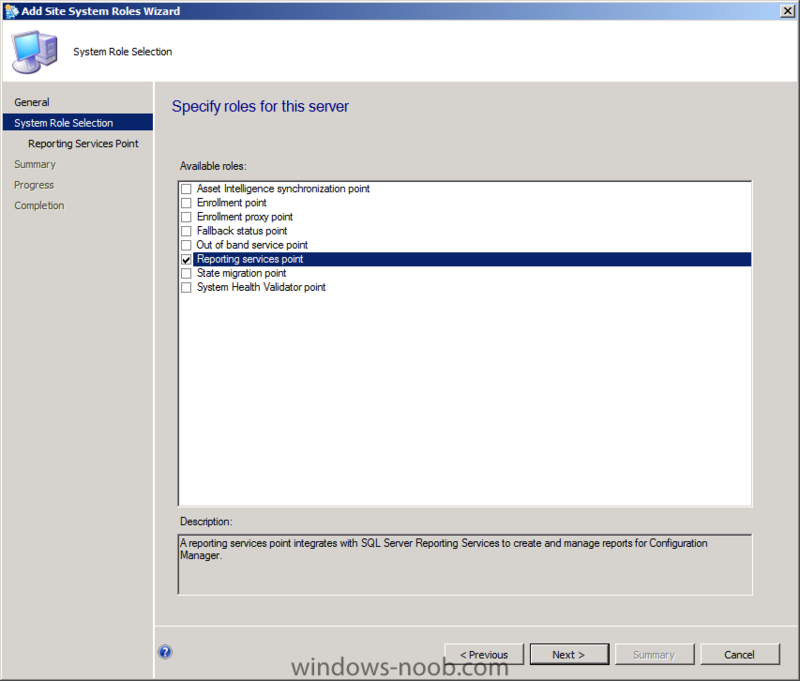 Perform the following on your SCCM 2012 server as SMSadmin. if all goes well it will be listed as Successfully Verified, now we need to configure a Reporting Services Point Account, and we will use the Active Directory User (called ReportsUser) which we created in Part 1 of this series in Active Directory Users and Computers. * ReportsUser, a domain user for reporting services. 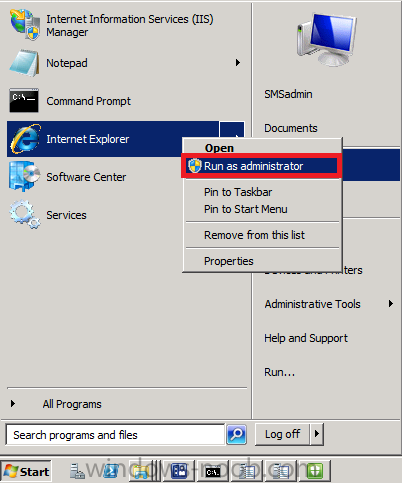 when prompted for Windows User Account, enter the credentials of your ReportsUser account, you can use Browse to easily find the user in Active Directory. The specified Windows user account and password is encrypted and stored in the Reporting Services database. Note: Reporting Services retrieves the data for reports from the site database using this account and password. 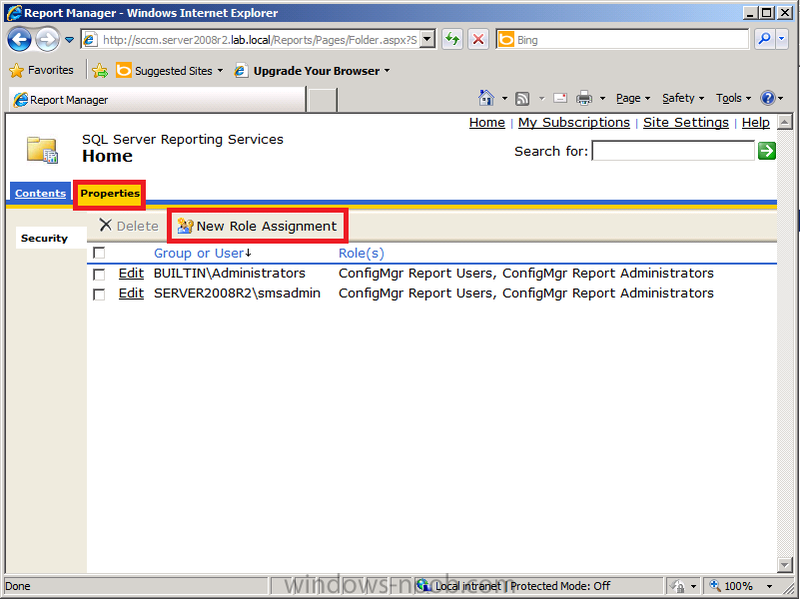 Tip: When installing the Reporting Service Point role, you do not have the ability to 'verify' the Reports user you specify, so the user may not even exist in AD. Therefore, you should browse AD when searching for the user. click next at the summary and review the completion screen. Tip: you can verify that the role installs successfully by monitoring the SMS_SRS_REPORTING_POINT log in Component Status, Monitoring. 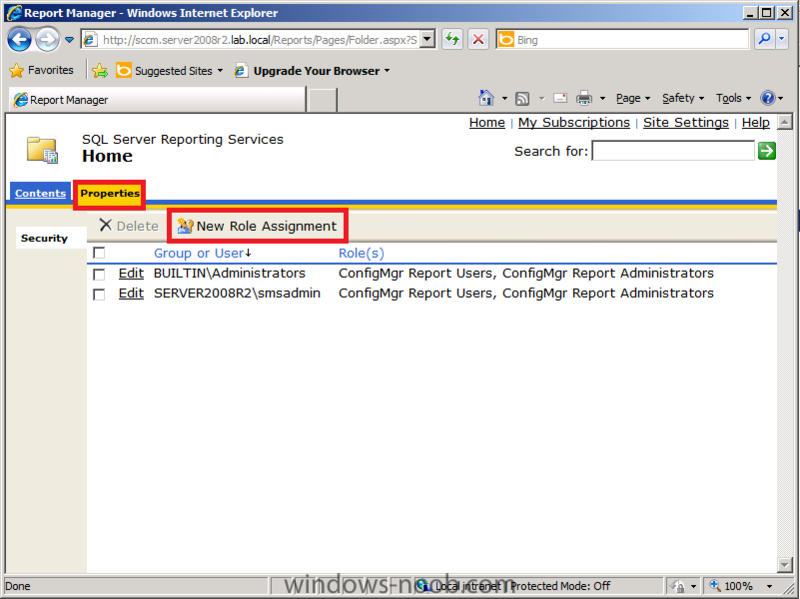 Look for Message ID 1015 which indicates that the Reporting Services point was successfully installed. You should also inspect the SRSRPSetup.log file for the following line, Installation was Successful. 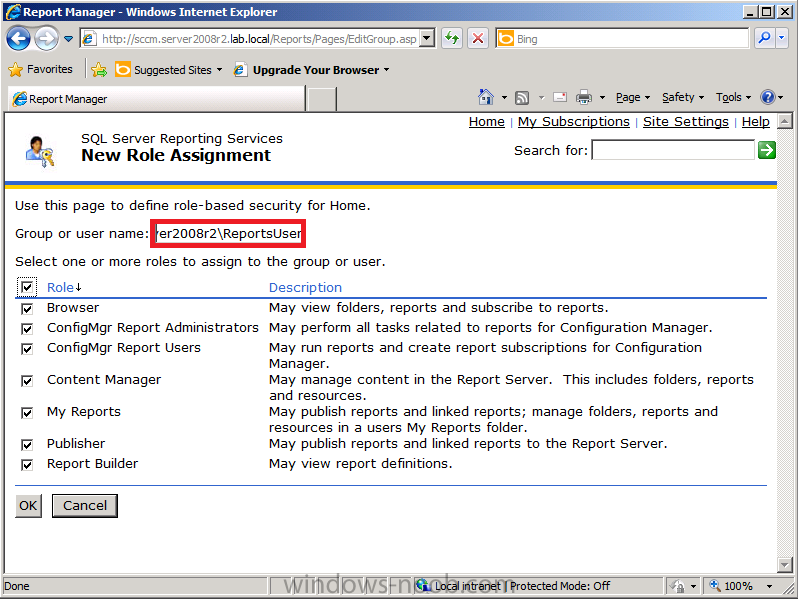 Now that the Reporting Services Point role is installed we need to do some configuration before we can view reports. 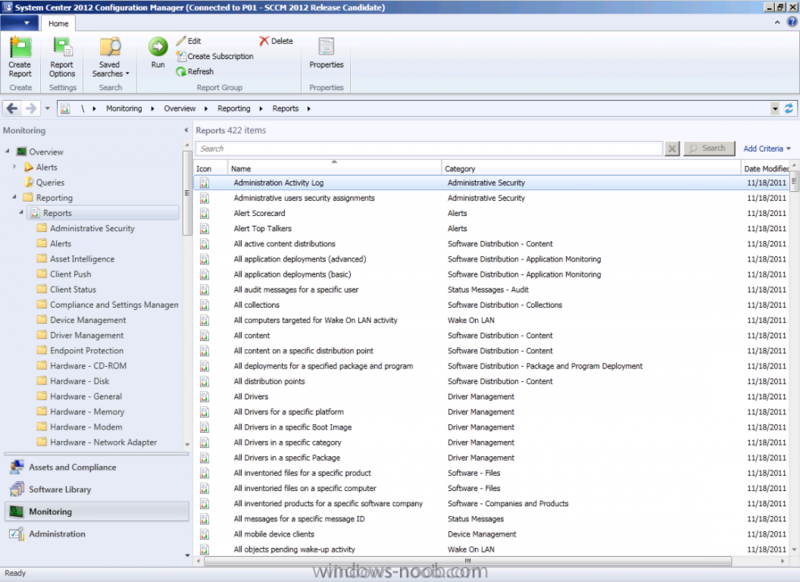 In the Monitoring Space of ConfigMgr console click on Reports it will list 0 items. On your ConfigMgr server, click on the start menu and right click on Internet Explorer, choose Run As Administrator, answer Yes to the UAC prompt. enter the following URL http://sccm.server20...b.local/Reports obviously replace your server FQDN in the URL. Tip: This is a LAB so it's ok to configure Reporting this way, in production you would want to be more specific about what permissions users are granted. Tip: if the ConfigMgr_P01 database doesn't appear as a temporary measure you can add the ReportsUser to the Local Administrators group on your SCCM server, that's ok in a LAB, in production you'll want to configure your security accordingly and create Groups for Report Readers and Report Administrators. Thats it ! Reporting Services Point is installed and in our next part we will look at our Endpoint Protection reports and monitor it real time both on the Server and Clients. I'm having a problem whereby i get an error stating that the SQL Reporting services root folder "configmgr-P01" is not present or not properly configured on the reporting point server and this error keeps re-occuring. Not sure what needs to be done for this. where are you getting that error exactly ? I get that error when i look into monitoring>system status>site status. It comes up as a critical for the reporting services point. Is it an issue with the account i'm using to set up the report point or is the the version of sql. I'm using SQL 2008 workgroup with SP2. I am having issues with reporting services , No reports are showing up in the console. 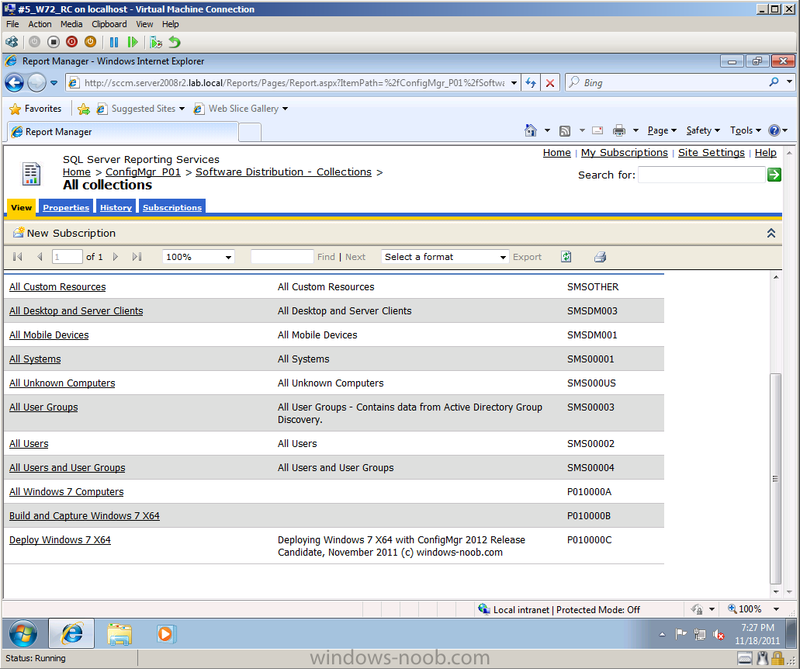 SQL reporting services is configured . I checked the srps installation log and installation was successful. 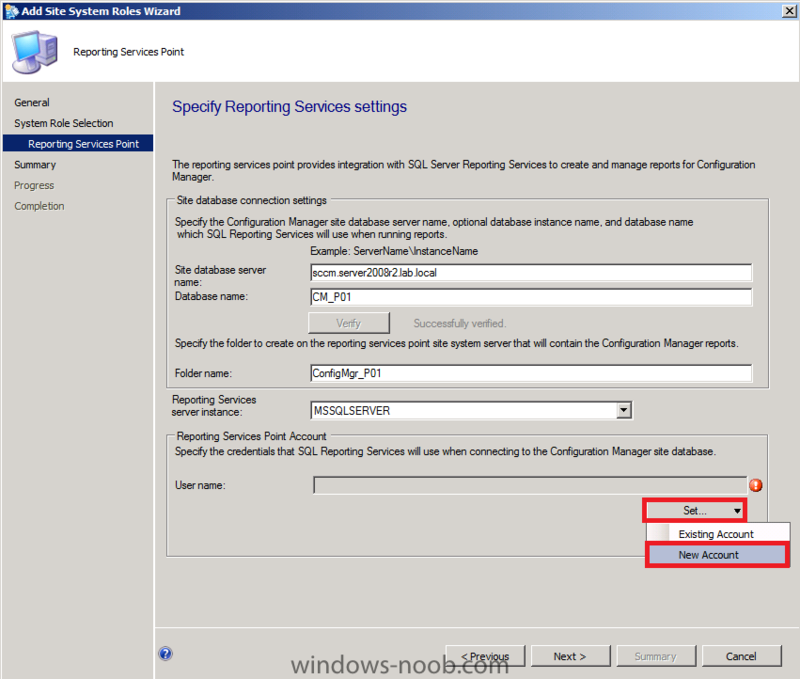 There are three DB's ReportServer , ReportServerTemp ( as of SQL reporting services configuration) and SCCM2012 DB. It complains that SQL reporting services is not running. 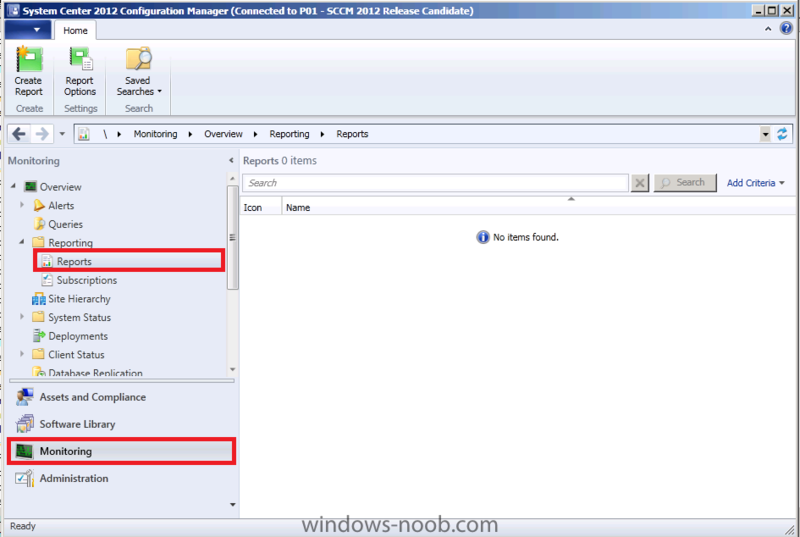 I reconfigured the Reporting services as mentioned in the post by creating a reportuser but when I open http://sccm2012/Reports , I dont see reports folder and when internet explorer is opened with run as admininstrator option. are you starting internet explorer by right clicking it and choosing 'run as administrator' ? Yes, I am opening the webpage as administrator and SQL reporting services page opens, However there is no folder ConfigMrg_SiteCode folder on the page. I uninstall and reinstalled Reporting services role but still same result. No folder on the page. I also see srsps log http error 404 unauthorised. you didn't answer my question properly, are you starting Internet Explorer, by right clicking on it, and choosing Run As Administrator ? Yes , I am opening IE and choosing "Run as Administrator"
i am getting the error: "The report server service is not running on Reporting Service Point Server; start the service to enable reporting". i have made sure the SQL server reporting services are running, does anyone know what the problem could be? if you restart that server does it work then ? strange, in your configmgr status logs do you see any clues as to what the failure is ? 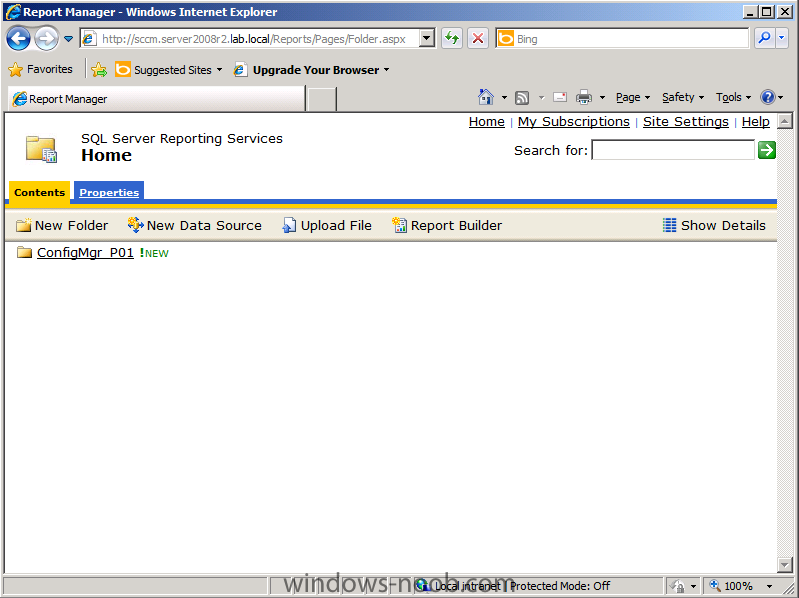 indicates that the Reporting Services point was successfully installed. , but 15 seconds later it gives me this error: "The report server service is not running on Reporting Service Point Server; start the service to enable reporting" I have been troubleshooting for an entire day, but still stuck in the mud. Anyone's help would be greatly appreciated, I am trying to finish the lab, thanks. did you do anything differently in relation to the lab setup ? I have been getting this in my SRSRP log. Any ideas? 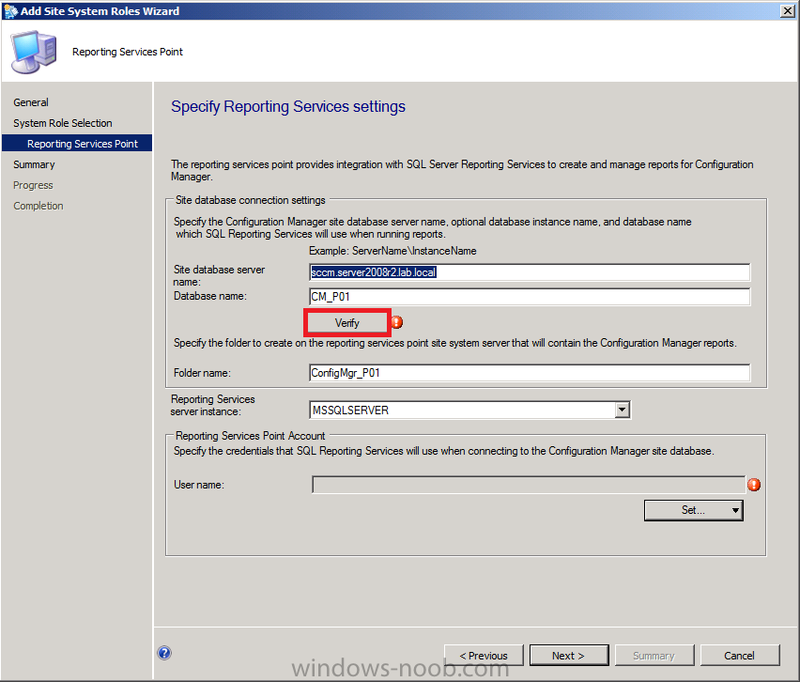 Did the SQL server 2008 R2 SP1 Reporting Services not Supported for SCCM 2012 Reporting Point?? just SQL 2008 (without R2) is supported or what? For me adding the ReportsUser to the Domain Admins group did the trick. Not a brilliant solution but at least it worked. Strangely the existing Admin accounts don't retain their settings but the ReportsUser does. FYI. I went on to create an SMSReportUsers group in AD, allowing normal test user accounts to access reports through their broswers too. I found I didn't have to define this group in the SCCM console at all, only through the browser as described above. 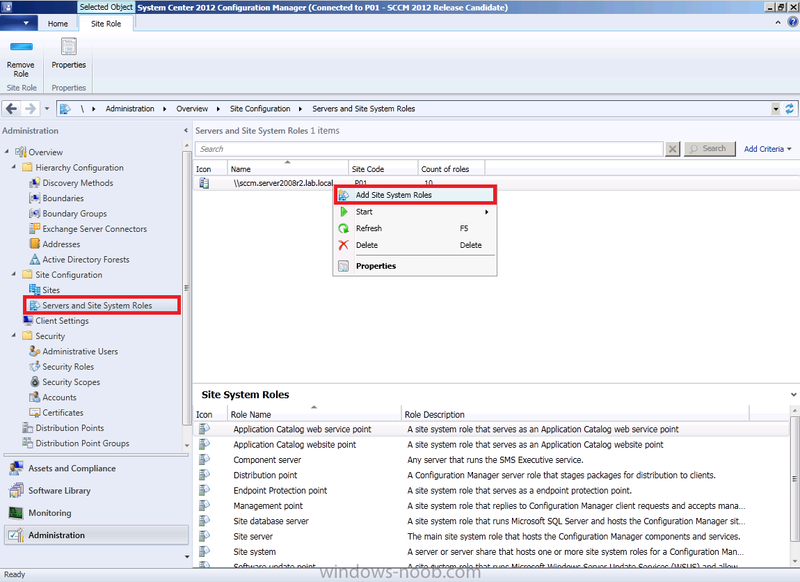 When doing this I noticed that the permissions being set did not propegate to the child folders so I had to do this manually (hit ConfigMgr_001, Properties, Security, Revert To Parent Security, and also repeat this for subfolders under ConfigMgr_001 to allow this groups to see reports). I'm not sure if this is perculiar to my setup, the RC etc. I also noticed that adding this group to the local administrators group got around this issue, but obviously this is not ideal. Maybe this is why this tip is provided in the instructions above. 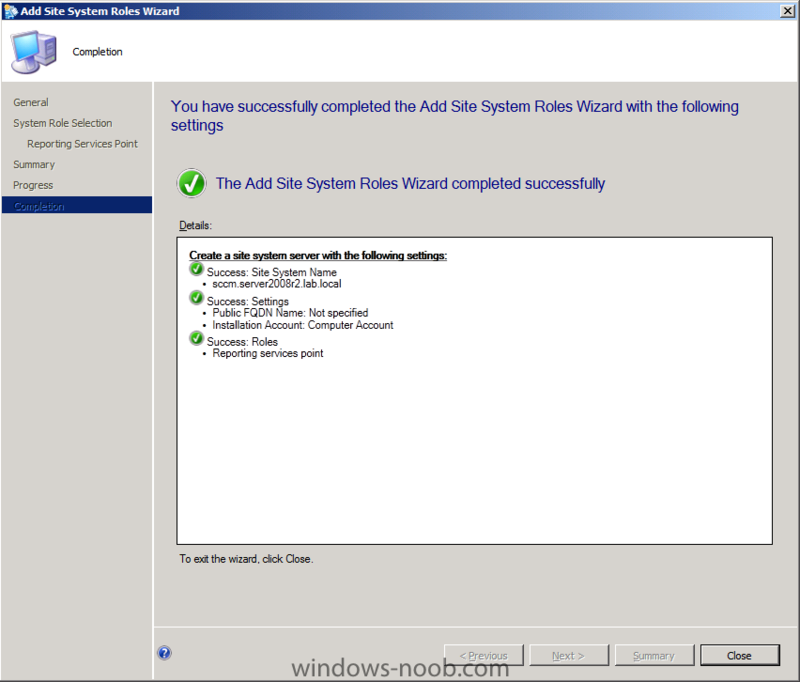 First make sure that you have CU 4 for SQL Server 2008 R2 installed (if you have 2008 R2). If you did install it and are still having this problem, try deleting and recreating the Encryption Key within Reporting Services Configuration Manager. That's what ultimately fixed it for me. Hello - I'm stuck trying to add Reporting Services Role. My DBA wants us to point to an existing reporting services server. I can't figure out where to configure that. Is it even possible to use a separate Report Server?